Home Technology in Education This Is What A.I. Looks Like, According to A.I. 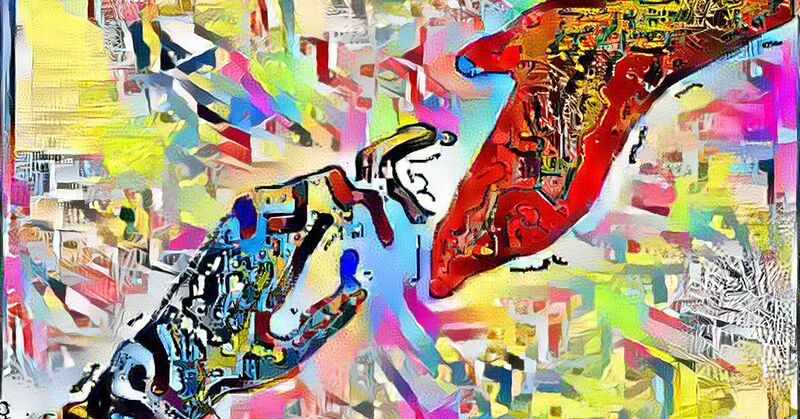 When you think of artificial intelligence, maybe you picture Dolores from “Westworld” or something out of “Black Mirror.” But if you ask AI what AI looks like, it’s nothing like that — in fact, AI thinks it looks like a multi-colored helping hand for humans. Recently, IBM Research asked AI to draw a picture of itself. The result is embedded above. And while artificial intelligence has created art before — AI-made portrait “Edmond de Belamy” sold for $432,000 in October at Christie’s — the task is uniquely challenging.